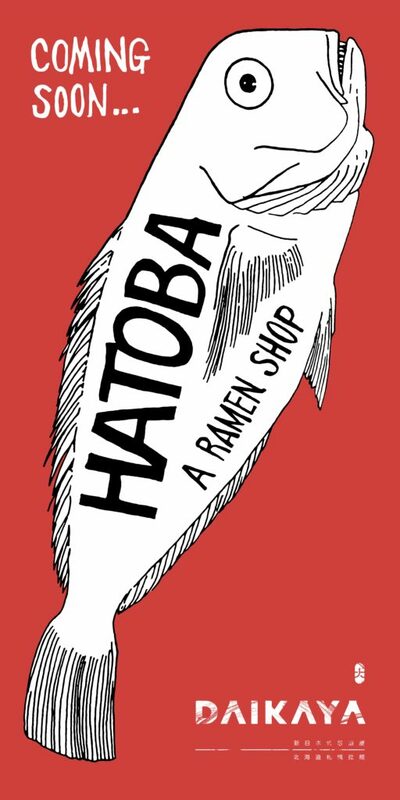 “Hatoba (300 Tingey Street SE #170, Washington DC, 20003, @Hatoba_DC) – the 3rd Sapporo-style ramen shop from the talented team behind the Daikaya Group including dynamic DC-based partners and restaurateurs Daisuke Utagawa, Chef Katsuya Fukushima, and Yama Jewayni – is slated to open in the District’s notable​ ​’The Yards’ neighborhood in Winter 2018. Hatoba will be the fourth restaurant to open in Washington D.C. from the Daikaya Group joining culinary siblings Daikaya, Haikan, and Bantam King. Hatoba will continue the tradition of featuring Daikaya Group’s custom-made ramen noodles by Nishiyama Seimen Company in Sapporo, Japan. Featuring 2,200-square feet, Hatoba – meaning dock – will open within the Boilermaker Building in The Yards and is preparing​ to offer a completely original selection of Sapporo-style ramen, different from the assortment of ramen currently offered at both Daikaya and Haikan – including some chilled ramen options. The ramen shop will feature seating for​ 80​ – with 50 seats available ​indoors, ​and ​30 seats available outdoor​s​. After joining several of the Daikaya partners on multiple research and development trips to Japan seeking inspiration – first for Daikaya ramen shop and izakaya, then for Bantam King, Haikan, and most recently for Hatoba – Brian Miller, Senior Design Director at Edit Lab at Streetsense, signed on to assist with providing the design foundation for Hatoba. In addition, Hatoba will be welcoming the public to join them for a ‘Pop-In’ at their space in The Yards throughout the MLB All-Star Weekend – July 13th through 17th, from about noon to 8pm each day, offering ice cold Sapporo beer and Japanese-inspired hot dogs for a price. Daikaya Group team members will be on-site at the Hatoba space in The Yards offering Sapporo beer and Japanese-inspired hot dogs for a price.